I’m sitting on the back of a motorbike, wearing a sundress and flip flops, my hair flowing freely with the wind. Being so inappropriately dressed I should really be quite scared but I’m so mesmerised by the beauty around me that all I can concentrate on is the blue butterflies soaring above my head, on the old abandoned buildings that the jungle have engulfed and made their own, on the bamboo stalks that seem to be as tall as the sky, on the waterfalls and streams and the mangoes that are strewn across the dirt road. And I know in this moment that I’ve found the backpackers dream – Minca! 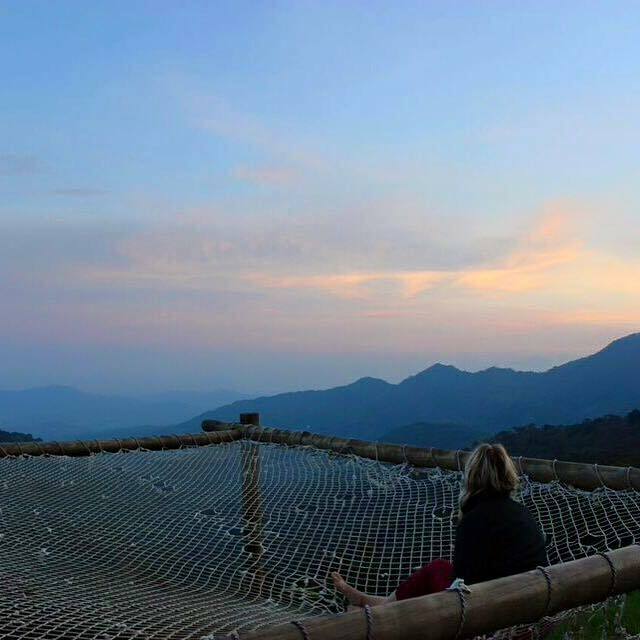 Set in the Sierra Nevada mountain ranges, 650 metres above sea level, Minca is the perfect place to go and escape the heat of the coast and spend a few days relaxing, hiking and exploring the beautiful jungle. Minca is only 14km out of the city of Santa Marta, the central city also used to access popular places such as Taganga, Tayrona and Palomino. The cheapest way to get to Minca from Santa Marta is by catching a Collectivo from the Mercado, which is a shared car/van that departs when the vehicle is full. It costs 7,000 pesos, which is roughly $2 and takes about 45 minutes. Do not take all of your luggage with you, their is no room in the cars. Pack enough for a few days in your day bag and store your luggage in Santa Marta. I stayed at Casa Elemento and I cannot recommend it enough. 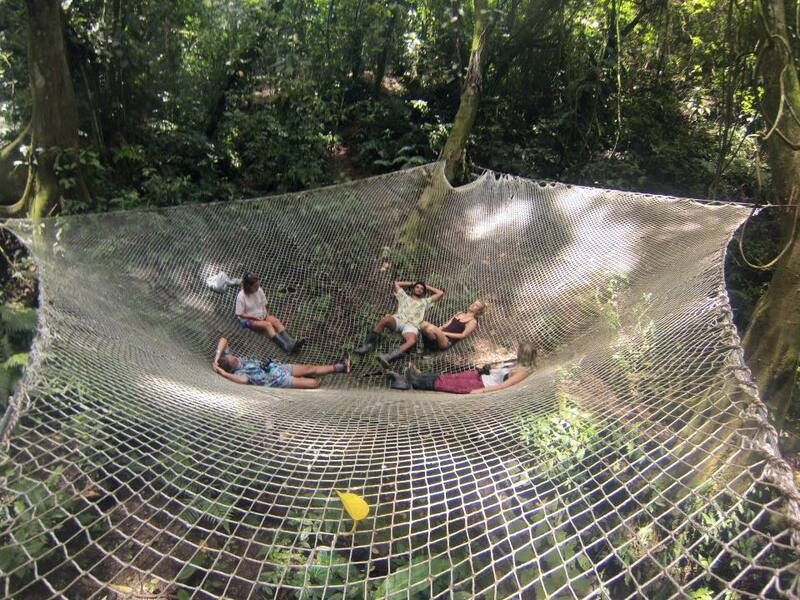 Not only do they have the worlds largest hammock, but the views over the valley are unbeatable. Their is no wifi which really added to the whole experience of being ‘off the grid.’ With a bar, the worlds largest hammocks, a tree house, a pool, a fire pit, countless hikes and waterfalls to discover and a great group of like minded travelers to hang out with for a few days this place is the epitome of a backpackers heaven. I have stayed in over 200 hostels during my travels but this place has got to be one of my all time favourite experiences. I also loved that the hostel owners, a young couple from the UK, greeted each guest when they arrived and somehow remembered everyones names during their stay. The owners cook up family style meals each day too, so you don’t have to worry about bringing up your own food. 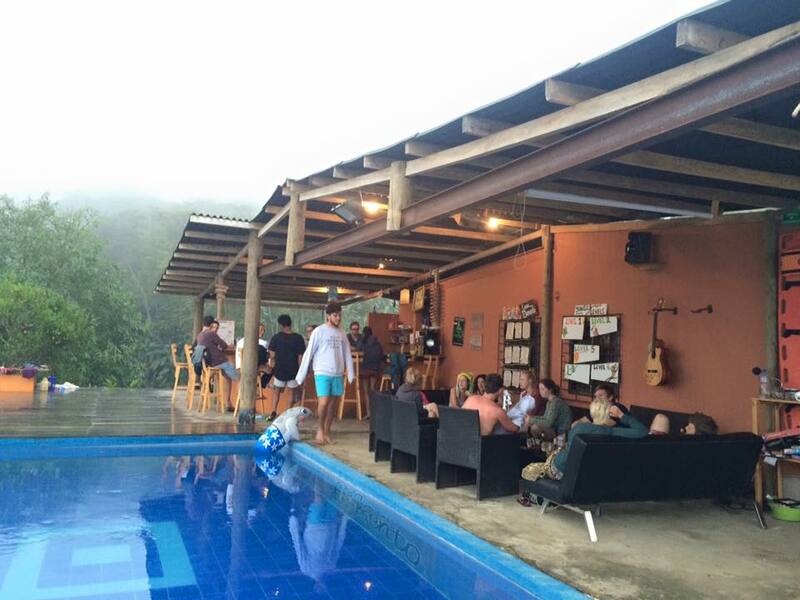 The hostel has dorms, private rooms, hammocks and open cabins available (I recommend the cabins). Their bathrooms have also surely got to have the best view in all of South America, imagine showering besides a large, open window overlooking the jungle valley below with tropical birds flying past. Amazing! In order to get to Casa Elemento you will need to hop on the back of a moto-taxi once you’ve arrived in the town of Minca as the dirt road through the jungle is too muddy for a regular car. The motorbike will cost you roughly 15,000 pesos. Alternatively if their is a group of you you can get a 4×4 jeep all the way from Santa Marta for roughly 25000 pesos each. 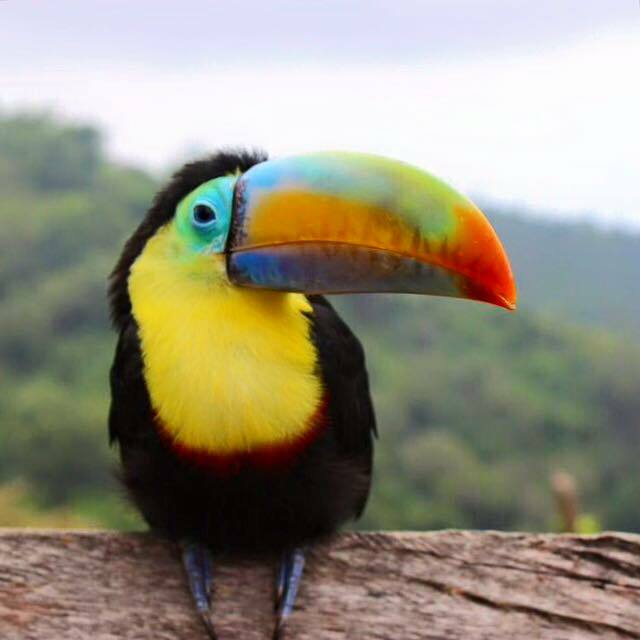 One of my highlights was meeting Lenny, a wild Toucan who flies to the hostel each morning in hopes of getting left over pieces of fruit from guests breakfasts. He is such a regular that he is very comfortable with humans and will gladly come and sit on your arm (and knows how to pose for the camera). Amazing! This hostel is super popular and very well known on the travel circuit so be sure to book a few days in advance to secure your spot. Many traveler go with plans for one night an stay for a week, it’s a place you fall in love with instantly. So if you ever find yourself lucky enough to be backpacking through Colombia be sure to visit the beautiful town of Minca, it was a highlight of my time in Colombia and I know it will be for you too. Over to you. Would you visit Minca during your time in Colombia? If you have been what was your favourite part?